As the iron filings fall between the two glass chambers the magnet creates a decorative sculpture, different each time. 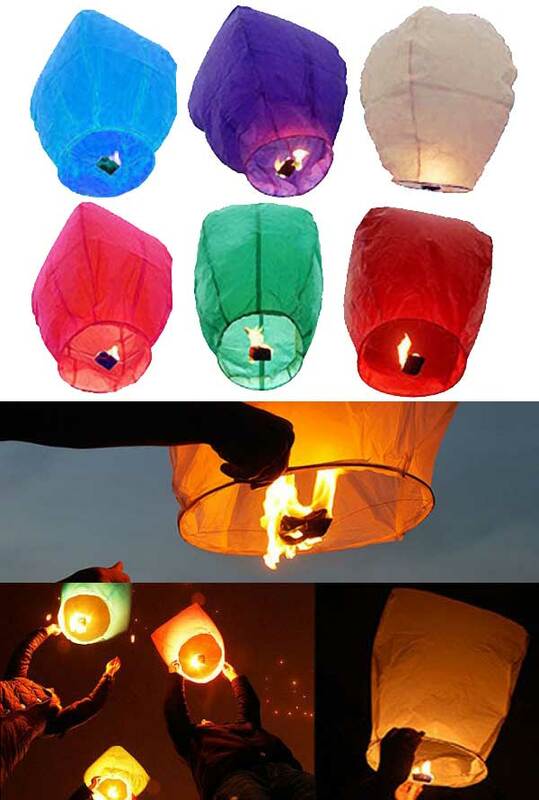 Imagine a rainbow of lanterns dancing across a night sky against a background of twinkling stars. When sky lanterns are simultaneously released into the night sky they create a truly mesmerizing display, floating silently like fairies sprinkling their magical dust. 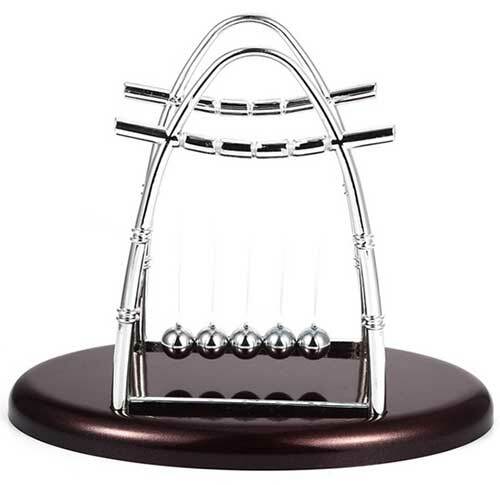 Great for birthdays, weddings, backyard parties, business, anniversaries, family reunions, events, bridal showers, or even just a summer backyard barbecue. Delight your friends with an experience they will never forget. Impressive by day, mesmerizing at night. 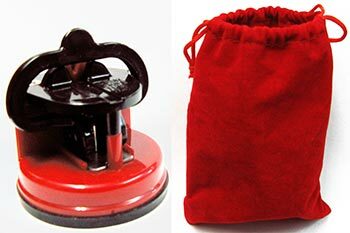 Fully fire-retardant, 100% bio-degradable. Fully assembled. 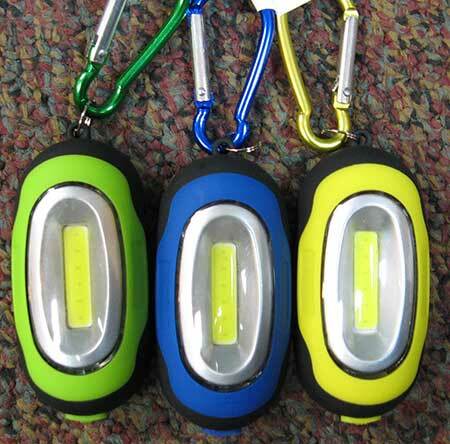 Guaranteed to fly Rises 500'–3,000' CE certified instructions included. Revel in the brave tradition of the American Soldier, from the Colonial Minute Men to the Modern Day Soldier. Soldiers from left to right include: American Revolution, War of 1812, Mexican War, Civil War, Spanish-American War, World War I, World War II, Korean War, Vietnam War, Iraqi Freedom and Modern Day soldier. Along the bottom of the poster is a 70 point time-line highlighting the major events in American Military history. The 11 ¾ " x 36" watercolor styled posters are printed on acid-free matte text with fade-free ink. All posters are a standard frame size; frames can be found in most major retailers and framing stores. 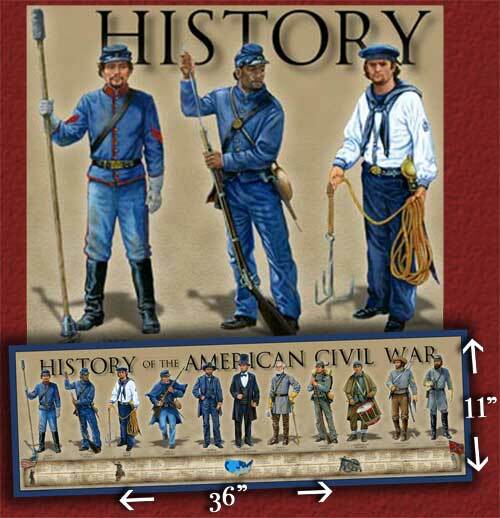 History America prints are created and printed in the USA. 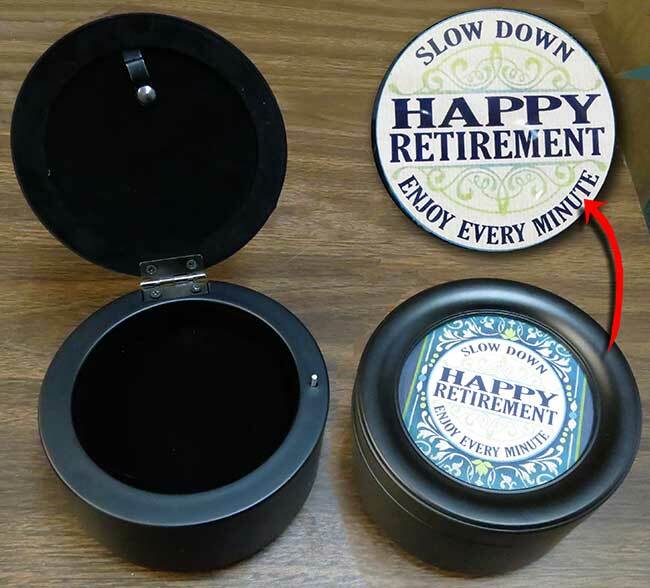 Discover the bold legacy of the American Police Officer from the colonial day "Rattle Watch" to the present-day Officer. Officer’s title from left to right include: Rattle Watch 1700s, Commissioned Officer 1800s, US Marshall 1870s, Roundsman 1900s, Patrolman1920s, Motorcycle Patrol 1950s, 1960's Detective, State Trooper 1970s, City Police 1990s, and S.W.A.T. 2000s. 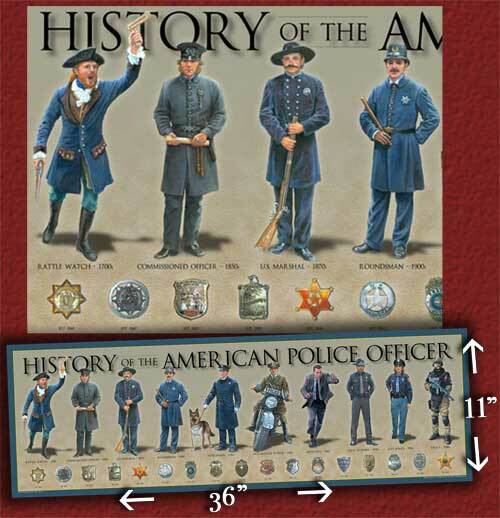 Under the nine police officers is a timeline of 17 police badges dating from the 1800’s to modern day. 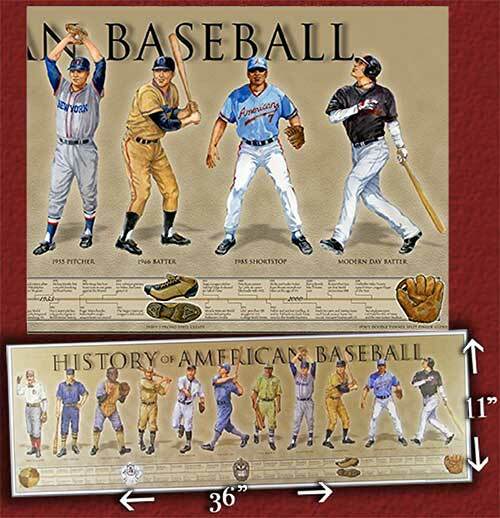 History of American Baseball - Celebrate America's Past time, from the 1800's through the golden age of baseball to modern day. Players from left to right include: 1885 Pitcher, 1903 Batter, 1910 Catcher, 1917 Batter, 1925 Fielder, 1932 Batter, 1941 Batter, 1955 Pitcher, 1966 Batter, 1985 Shortstop, Modern Day Batter, The 47 point time-line includes dates, facts and 5 vintage pieces of equipment.. History America prints are created and printed in the USA. 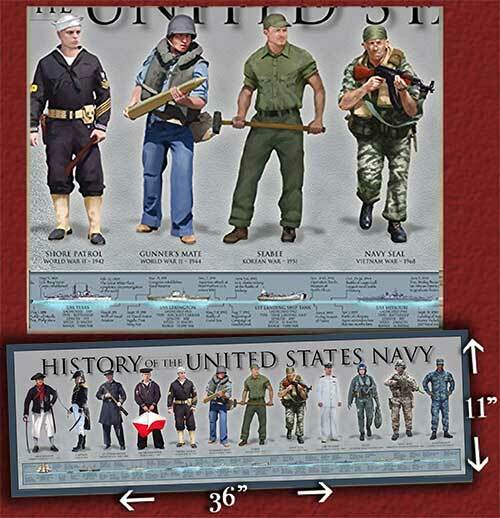 History of the United States Navy - Explore the proud legacy of the United States Navy. Navy personal from left to right: Able Seaman - American Revolution, Captain - War of 1812, LT Commander - Civil War, Quartermaster - WWI, Shore Patrol - WWII, Gunners Mate - WWII, Seabee - Korean War, Navy Seal - Vietnam War, Lieutenant - Dress Whites, Pilot - Iraq War, Navy Seal - Afghanistan War, Lieutenant - Blue Digitals. The 45 point time-line includes dates, facts and 10 iconic NAVY vessels from pre Revolution to modern day. Along the bottom of the poster is an educational timeline, with 45 major points in U.S. Naval History including 10 iconic naval vessels from the 1700's to modern day. This 11 ¾" x 36" water-colored styled poster, is printed on 80 lb. acid-free matte text with fade free ink. 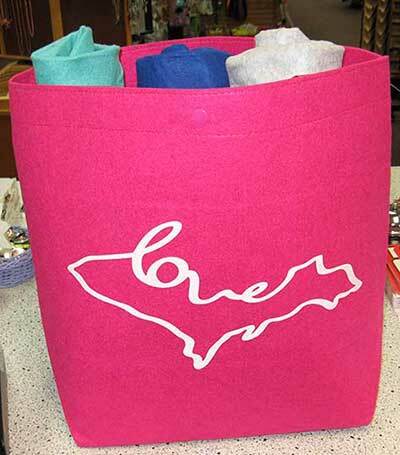 The 11 ¾" x 36" poster, is a standard frame size which can be found in most major retailers and framing stores. Each poster is rolled in a clear acid-free poly/plastic sleeve and shipped in a hard craft tube. 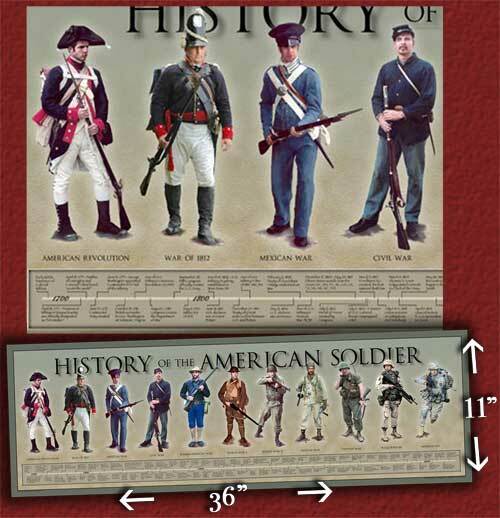 The entire poster is sharp clear and very detailed.. History America prints are created and printed in the USA. Salute the “Few the Proud the Brave” the USMC. 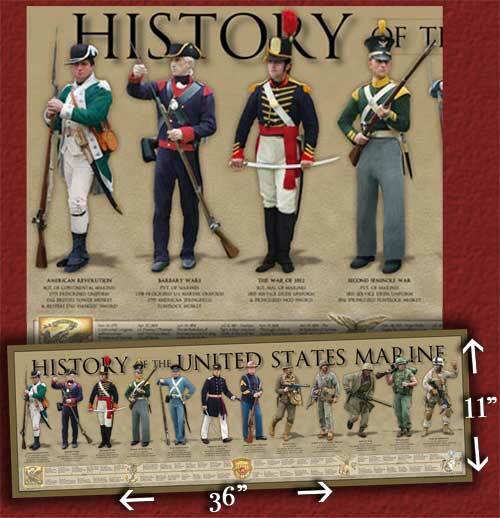 Marines from left to right include: Continental Marine, Barbary War, War of 1812, Second Seminole War, War with Mexico, Civil War, Chinese Boxer Rebellion, World War1, World War II, Korean War, Viet Nam War, Modern Day. The 49 point time-line includes dates, facts and five Marine emblems including the Modern Day Eagle Globe and Anchor. 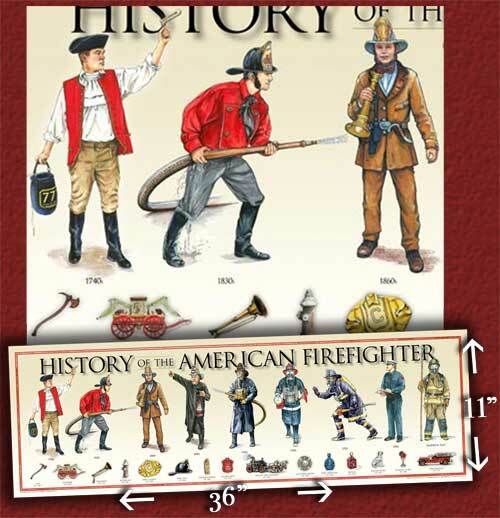 Honor rich history of the American Firefighter from the pre revolution days of the 1700’s to today’s firefighter. Firefighters include the 1740’s Rattle Watch, 1830’s Volunteer, 1860’s Volunteer, 1890’s Fire Chief, 1920's Firefighter, 1950’s Firefighter, 1970’s Firefighter, 1990’s Fire Inspector, Modern day Firefighter. The timeline of images include important inventions and development in the American Fire history. From Fort Sumter to Appomattox, discover America’s most enduring war. The 11 iconic images include: Union Artillery, US Colored Troops, Union Sailor, Union Infantry, General Grant, President Lincoln, General Lee, Confederate Infantry, Confederate Drummer, Confederate Cavalry, and General “Stonewall” Jackson. The 50 point time line highlights important dates, battles and statistics over the 4 year conflict. 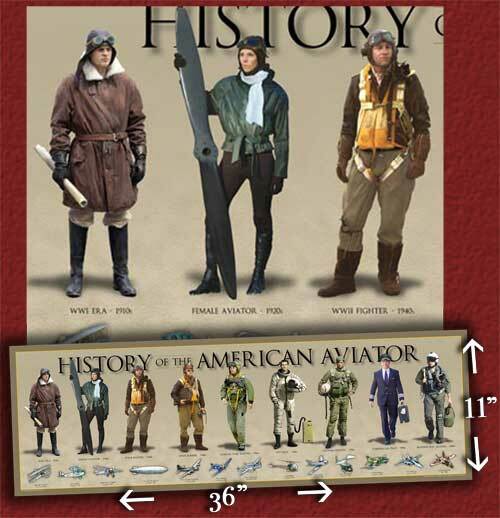 Celebrate America’s proud aviation heritage from the early pioneering days of the 1900’s to today’s modern pilot. The 8 aviators include: World War I era pilot, Golden Age of Aviation female pilot, World War II Fighter pilot, World War II Bomber pilot, Korean fighter pilot, 1960’s Test pilot, Vietnam Fighter pilot, Commercial pilot, and Modern Day Fighter Pilot. The time-line of 13 iconic American made and operated aircraft are represented from the civilian and military field. Learn about one of America’s most enduring icons, Old Glory. The 10 American flags represented are; The Pine Tree Flag, Grand Union Flag, Revolutionary “Betsy Ross” Flag, Grand Star Flag, Bennington Flag, 34 Star Flag, 50 Star Flag and the Gadsden Flag. 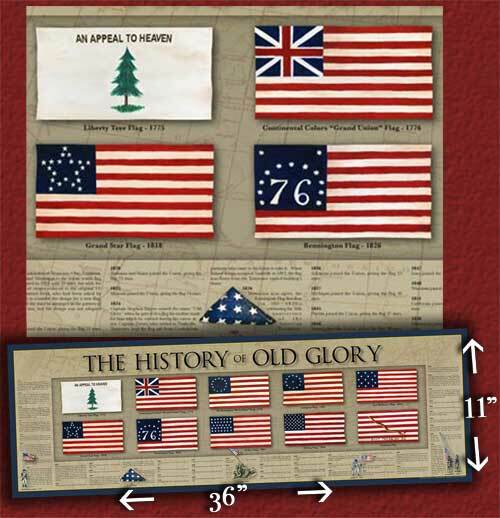 The educational time-line includes a description of each flag, when each state star was added, important facts and dates, as well as 5 small patriotic Old Glory images. 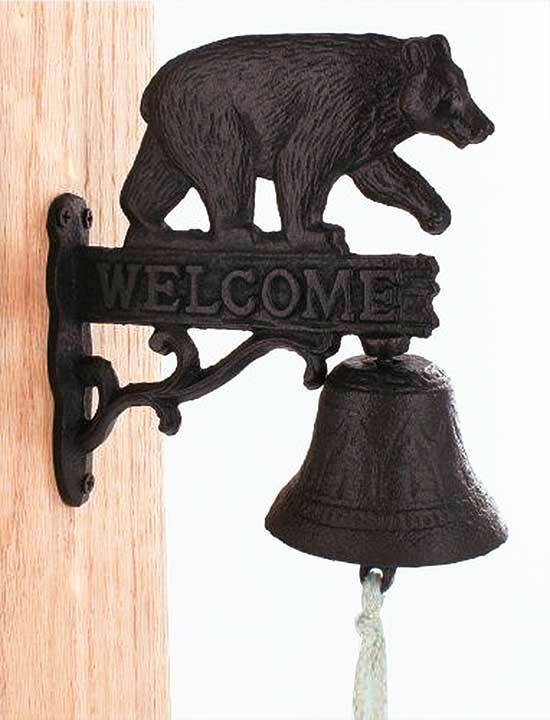 Welcome all your guest with this black bear with bell.You can hang this bear anywhere outside and let your guest ring the bell.This black bear decor is a sweet addition to your outdoors.It is designed to weather the elements and arrive ready to hang on any home post, tree.This is a plus for your outdoor decor..
Light the center wick, and the sparklers ignite the outer ring of candles. The petals open, and the flower spins as it plays "Happy Birthday!" It's a celebration they'll never forget! 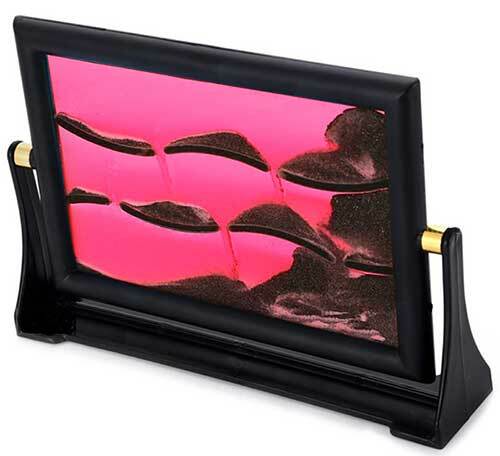 Create your sand picture by swiveling and moving the sand in the liquid. 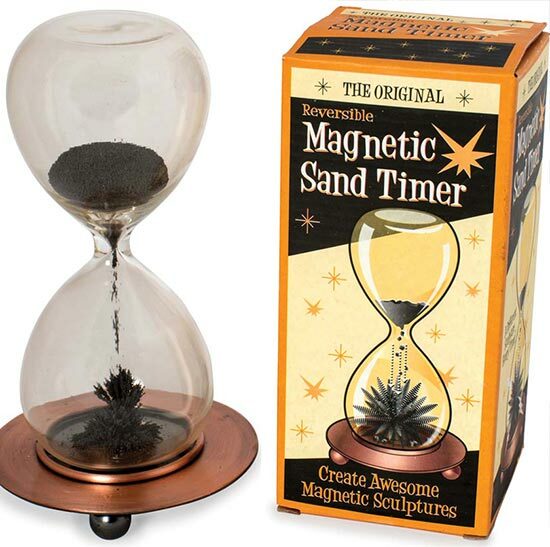 Let sand falls onto different levels to form various shapes. Just flip it over and a new sand landscape is created.